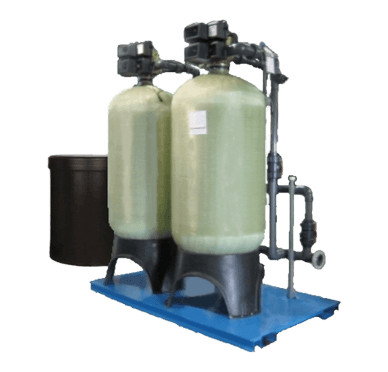 EcoWater’s line of commercial softeners are among the most efficient softeners available on the market and can lower your maintenance costs and save you salt, water, money and time. Our line of softeners are able to satisfy varying demands for hardness and scale up to 1.2M grain capacity and are available in fiberglass and epoxy-lined steel. Available for Single, Twin Alternating, Duplex Alternating or Parallel, Triplex Alternating or Parrallel, Quadplex Alternating or Parallel operation. The VIP electronic meters are UL listed. Solid state single or multiple metered demand initiated regeneration including rate of flow, re-settable totalizing meter, and self-diagnostic status monitoring. NEMA enclosed controller; delayed or immediate regeneration. Lead-free brass multi-port control valves with self-cleaning, hydraulically balanced positive acting piston. Timed brine refills eliminate constant line pressure on shut off float devices. Standard safety-float valve shutoff on 400/700lb brine tanks; optional on 1000lb and larger sizes. 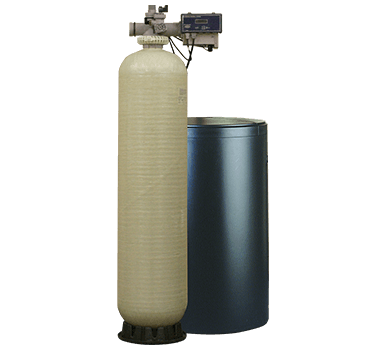 High strength polyethylene tank liners for longer service life, FRP wrapped for strength and corrosion resistance. ANSI/NSF listed tanks. 120V/60Hz/1pH transformer included / twist lock style electrical connections / 24V control voltage. Automatic mechanical, time clock initiated regeneration. Hard water by-pass during regeneration. High strength polyethylene tank liners for longer service life, FRP wrapped for strength and corrosion resistant. ANSI/NSF listed tanks.